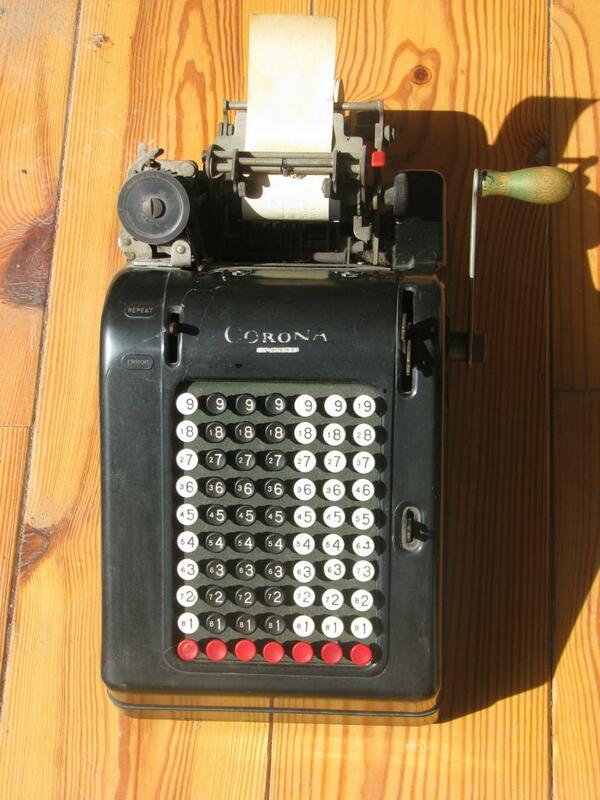 This machine falls outside the scope of the collection, as it is not a four-function calculator. However, I have it, and since the case is cracked and buttons are missing, I can't really sell it. In addition (pun intended) it works beautifully. According to the Smithsonian National Museum of American History - "The machine was designed by Glenn J. Barrett. 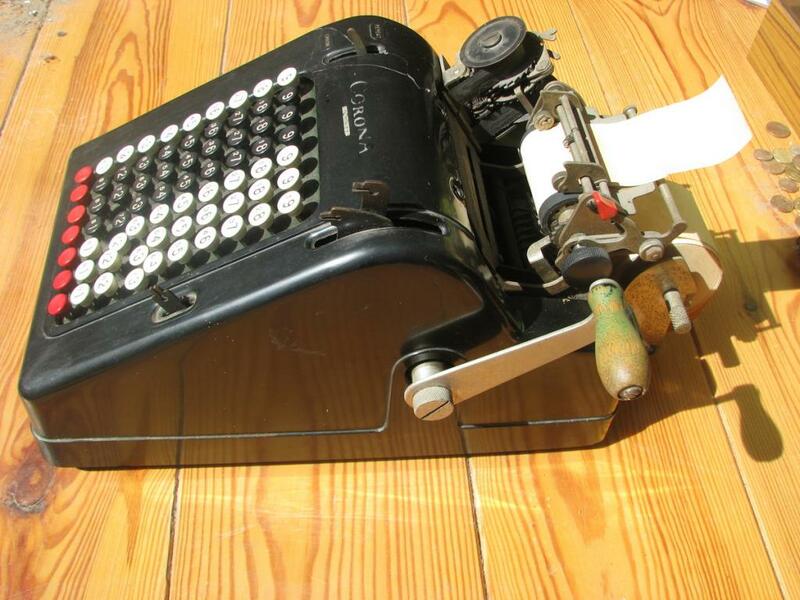 A version of this machine was manufactured by the Corona Typewriter Company of Groton, New York. 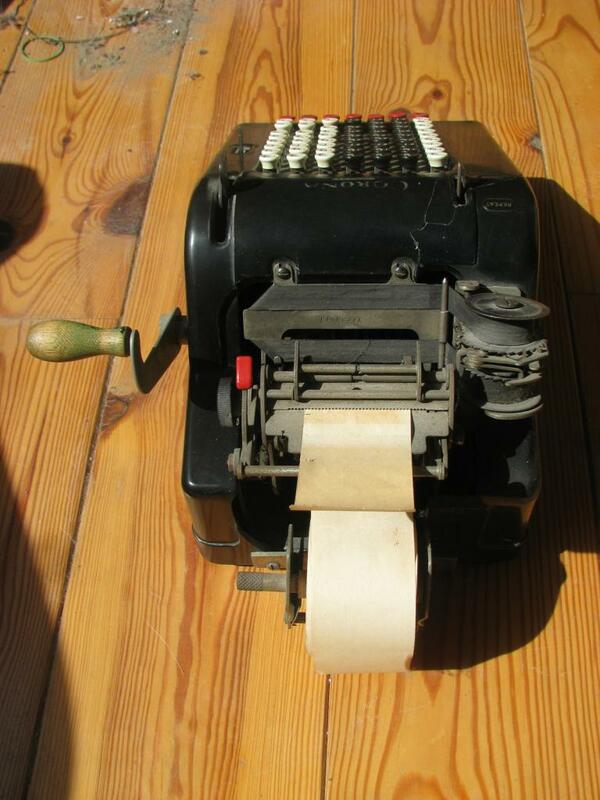 The Portable Adding Machine Company introduced the machine as the Portable in October 1924. That company began in Chicago and soon moved to New York. 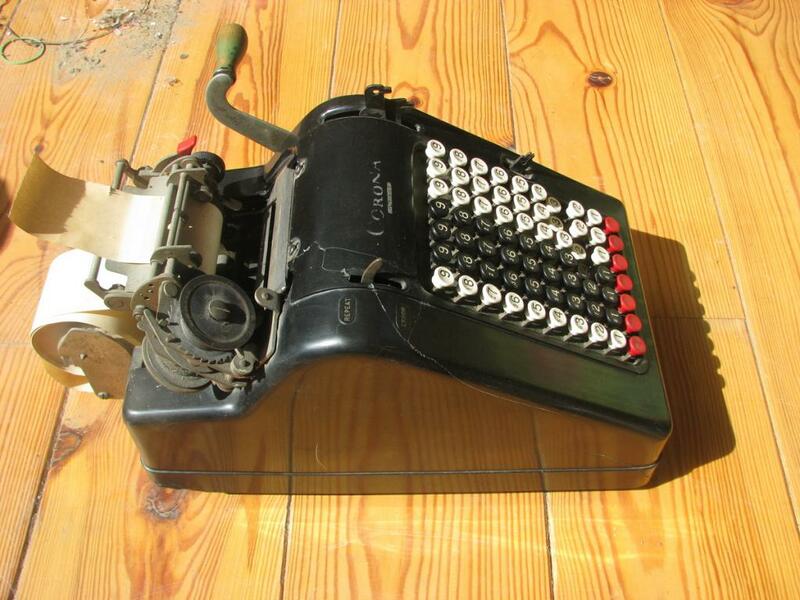 By 1928, the machine was sold as the Corona by the Corona Typewriter Company." This, and the plastic instead of metal case, date my machine to post-1928. Most of the lettering has long gone from polishing and cleaning. The missing buttons on the top right should read "subtotal" and "total", the missing button on the right in the middle of the keyboard is the "clear" key.